Any engineer or maintenance person responsible for cooling towers or evaporative condensers is well aware of the water treatment issues with these systems. Scale build-up, corrosion and biological issues, such as Legionella, are the most common issues that cause this equipment to suffer. The treatment solution provided by chemical treatment companies has typically been to use more and more chemicals because that is their business model. For this reason, solutions that reduce chemicals have been discouraged and there has been little real innovation for decades. The result has been lots of money wasted on chemicals, energy and water. Additionally, this has resulted in a massive and largely unnecessary amount of chemical pollution. 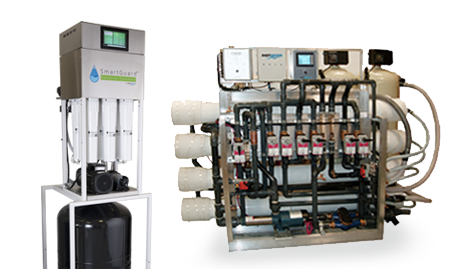 If the water being used for makeup to the cooling tower system is relatively hard, we use our SmartGuard RO (reverse osmosis) System to remove most of the minerals in the water prior to sending it to the cooling towers. This is the best method to prevent scale formation in a cooling water system while saving water and using no antiscalant chemicals. 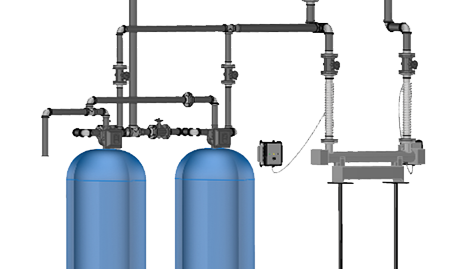 Our EasyWater CTF System (Cooling Tower Filtration System) continually filters and treats the cooling tower water. 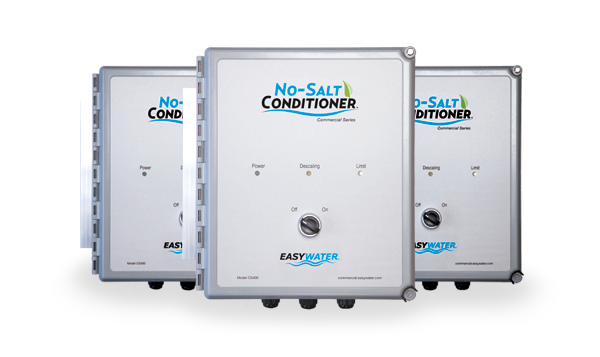 It has a backwashing/self-cleaning, 3 micron filter to remove dirt and bacteria, No-Salt Conditioner treatment to reduce scale formation and break down the cell wall of bacteria, and a BacteriaShield UV System to continually kill 99+% of the bacteria. EasyWater will provide the best treatment solution for your cooling towers and evaporative condensers, provide regular onsite service and guarantee the results. Find out more about our treatment options for cooling towers and evaporative condensers by contacting us today at 1-888-766-7258, or by filling out our free estimate form below.